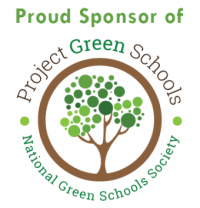 On April 13, Planet Aid representatives attended the Project Green Schools 2018 Green Difference Awards Ceremony held at the Massachusetts State House in Boston. Planet Aid has been a PGS sponsor for over eight years, working with the organization to promote healthy environmental change though presentations and events focused on reducing, reusing, and recycling. Jackson Fernandes, the Market Manager for Planet Aid’s Southern New England branch, attended the ceremony to congratulate the winners and accept a certificate of appreciation on behalf of Planet Aid.